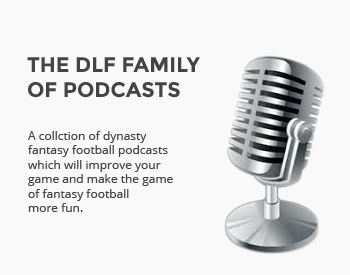 We do our weekly roundup of the league, DLF style. I have an addiction to caffeine and it comes in the form of Dr. Pepper. Most people go to coffee but I hate it even though I live in the Northwest. With a little digging, it seems I’m not alone. In fact, the amount of Dr Pepper sold each year in Texas alone could fill Cowboys Stadium 338,000 times. And the number of cans sold each year in Texas could wrap around the earth’s equator eight and a half times. That seems like a lot. In short, you need to be humble when you win and still committed when you don’t. To me, those 23 character traits stood out. If you have some you like more than others or some you’d add, let me know in the comments below. There were legitimate concerns this year about how Christian McCaffrey would hold up with an increased workload, especially when his coaching staff was predicting around what seemed like 1,000 touches a game in the off-season. Well, he’s responded in a big way, capped off by his first ever 100-yard rushing and 100-yard receiving day, en route to 237 total yards and two touchdowns in a losing effort against the Seahawks. His owners will take it as the Panthers loss was fantasy football’s gain. I usually focus on just one player here but this week there are two who stand out – Greg Olsen and Marquez Valdes-Scantling. MVS had just one catch for three yards, while Olsen secured two for 11 yards and dropped an easy touchdown. Both of these players were extremely disappointing this week and likely cost their owners dearly. This morning, AJ Green said something like he was back to play and cut the reported off when asked about being shutdown. Are you still worried? You don’t think he wants to hit 1,000 yards again? He’s at 687 right now with 5 games to go. Seems very reachable. Seems he wants to play. I’m surprised the Bengals aren’t shutting him down. Let’s see what happens this week. Perhaps you’ll catch a break. …and yes, Conner would have avoided the list with that catch. Problem is, we’ve seen some untimely mistakes like that lately that he avoided at the beginning of the year. I’m a big fan, just worried he won’t end strong enough to leave no doubt he’s the future in Pittsburgh. I’d hate to see any kind of time share next season. Yes. Conner hasn’t been quite the same since the concussion game vs Carolina. 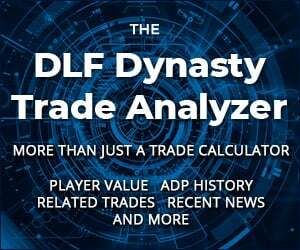 Snagged Josh Adams a month ago off waivers. Pretty excited so far! Also patiently waiting for Sutton. I agree on AJ. If I’m a non-contender and own Green I am worried in general. Look forward to this write-up each week!